How much time do you spend on social media platforms and watch video content on another device that is not a smartphone? We are now living at a period where everything can be done through our phones, from sending text, receiving calls, taking pictures, all the way to transferring money halfway across the world. That level of capability is what makes mobile technology such a fundamental factor for everyone. The practicality of mobile devices also affects how people consume their daily content like videos, movies, and series. So there is no surprise that vertical videos are the future of marketing. Less than 30% of users will turn their phones sideways to watch an ad. Thanks to steadily growing screen sizes, high-quality displays, and the popularity of social media apps, more and more people are watching video on their phone. According to a report by Pew research center, about 75% of people 18-20 years old watch video on their smartphone. That number is only going to increase in the years to come. Pick up your phone. Chances are that you are holding it in portrait mode, that’s vertical. Now your friend sends you a funny video, do you turn your phone to watch it? Most likely, you don’t, and you’re not alone. A global study found that people hold their mobile phones vertically 94% of the time. So why would you produce video content that only 6% of people would view appropriately? If you think about it, smartphones have always been designed to be used vertically, not horizontally. When was the last time you saw somebody scrolling through their social media app feed with their phone held horizontally? Vertical video doesn’t just look prettier on mobile. According to specialists, advertisers on Snapchat have reported 9 times more engagement on that platform when their video ads are vertically oriented. 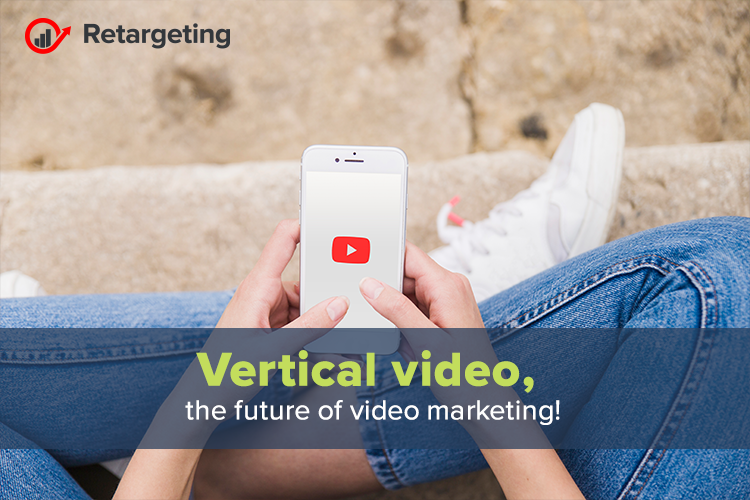 While vertical video may never replace horizontal video, it will certainly have its niche – and for mobile video marketing success, marketers will want to take advantage of that. By creating vertical videos, you can create an immersive marketing experience for your followers across many platforms accessible from mobile devices. New market conditions, new marketing strategies!